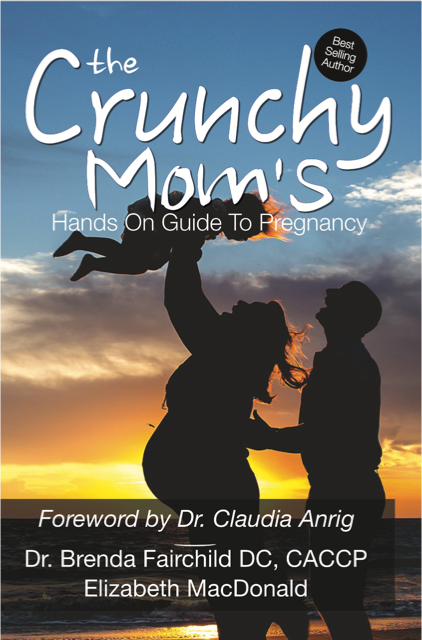 The Crunchy Mom’s Hands On Guide To Pregnancy is a “refreshing approach to understanding the importance of health during pregnancy.” Authors Dr. Fairchild and MacDonald utilize the most current research to deliver an easy-to-read reference guide on natural pregnancy and birth. A holistic approach to pregnancy is becoming the desired goal of many mothers today, and education is the key to successfully achieving this goal. Taking into account how overwhelming the childbirth world is for parents, The Crunchy Mom’s Guide breaks down supplement selection while factoring in such conditions as MTHFR; it includes pregnancy ailments, cravings and nutrition education, exercises to perform, and important choices such as chiropractic care and birth locations. The authors leave nothing out, as the reader will learn about outdated procedures and the newest, most natural approaches toward pregnancy and birth. Every woman trying to conceive or currently pregnant will appreciate the level of detail placed within each chapter. It is a must-read for any mother yearning to make informed and educated decisions on her journey into motherhood. Buy Now on Amazon.com for Paperback! 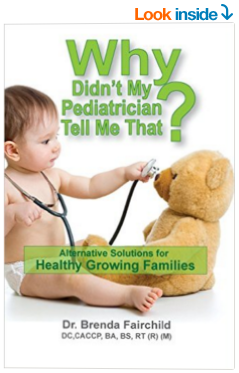 Also Buy: Why Didn’t My Pediatrician Tell Me That? The advice in this book will help you keep your children well and guide you through times when they are not. Whether you are dealing with ear infections, colicky baby, or mood swings, Why Didn’t My Pediatrician Tell Me That can help. This book is designed with you and your family in mind. You can choose to read the book from cover to cover, or focus on a particular symptom your child is experiencing. Either way can get your child back on track. Your family deserves the best, and there are plenty of simple natural options to keep your children healthy and vibrant! Buy Now on Amazon.com for Kindle and Paperback! Dr. Brenda is the best of the best! She truly cares about each one of her patients, gives out her cell number for questions and even mails cards when special things happen in your life. She worked miracles on me while pregnant and postpartum and has worked with my infant as well and healed her torticollis. She is gentle, thoughtful and is a true healer. I can't recommend her enough!! Kiersten S.